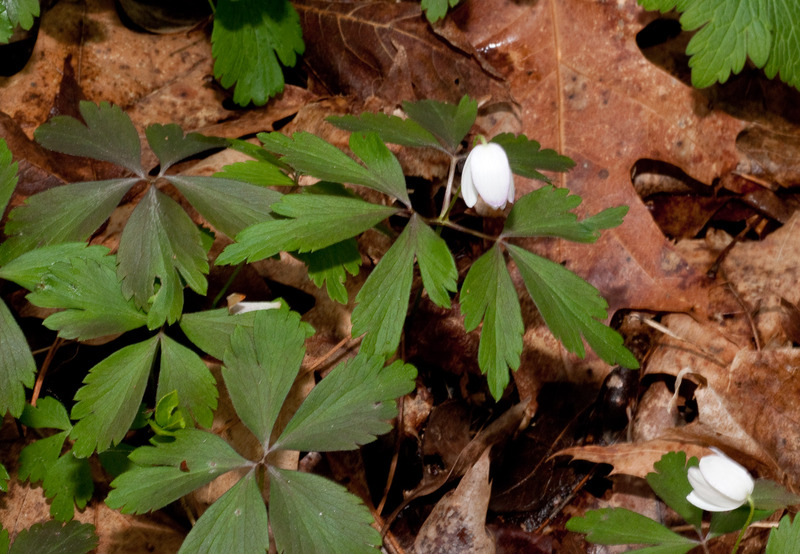 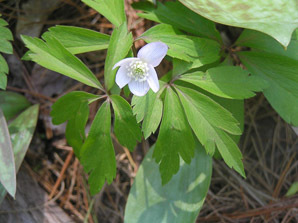 Wood anemone is a North American native found in woodland habitats. 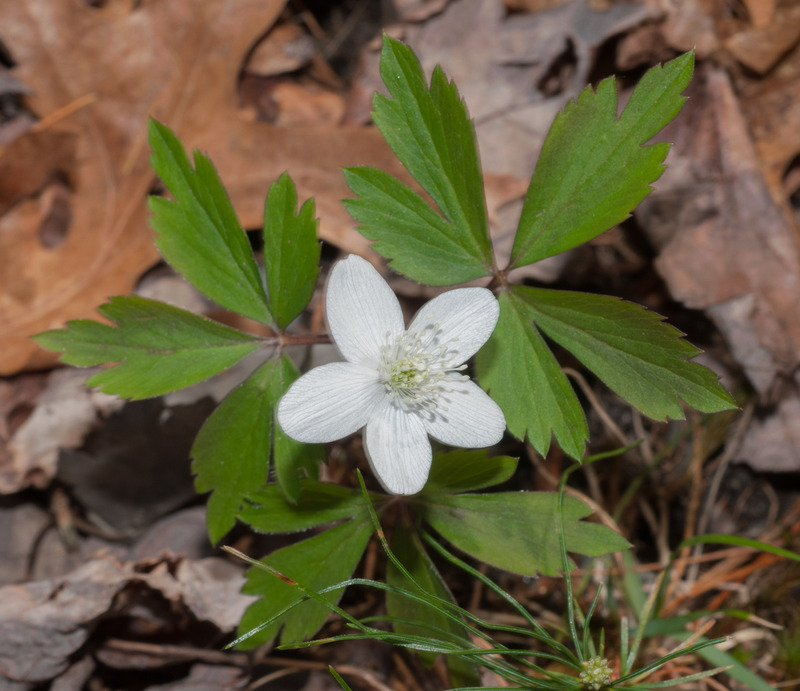 Anemone is a corruption of the Semitic name for Adonis, whose blood was said to have brought forth the red-flowered anemone of the orient. Or, in a perfect example of how the origins of names are sometimes lost in the mists of history, Anemone could be from the Greek ánemos plus ōnē meaning “daughter of the wind,” a flower that can only open at the wind’s bidding. 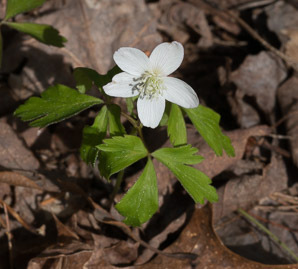 Either way, quinquefolia means “five-leaved,” and wood anemones are part of the family of buttercups. 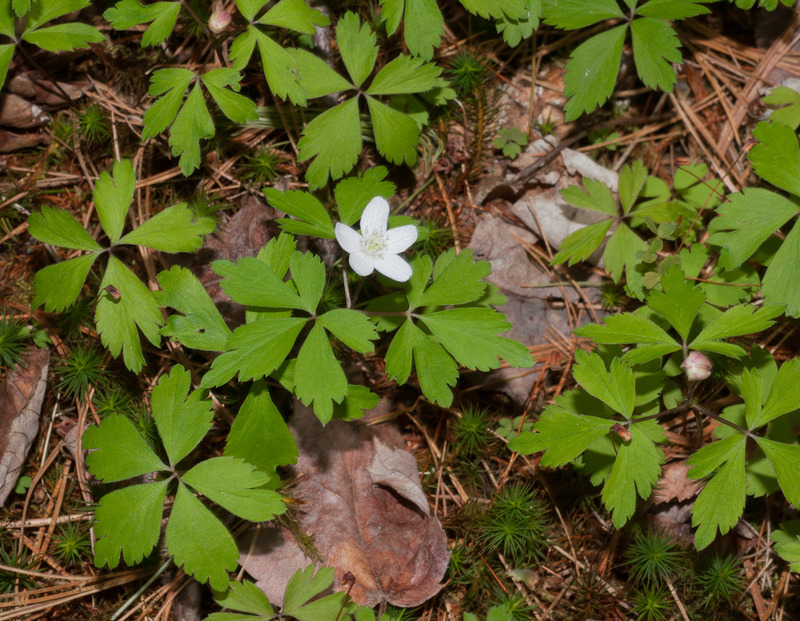 Identification: Wood anemone, which spreads quickly via its root system, is often found covering large areas of woodland floors. 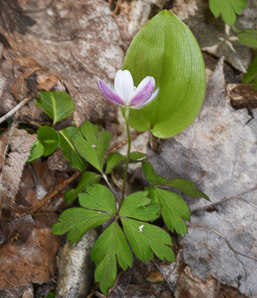 It reaches heights of 1¾-12" (5-30 cm) in the spring, and dies back to its root system later in the season. Leaves are in groups of five or sometimes three, arranged evenly around the stem. 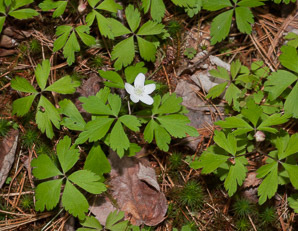 Each leaf is about twice as long as it is wide, up to 2" (5 cm) long. 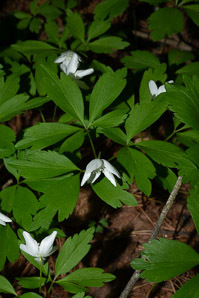 Flowers are white or tinged with purple, often nodding, up to ¾" (1.9 cm) across, with five petals (actually tepals). 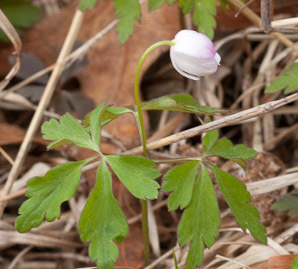 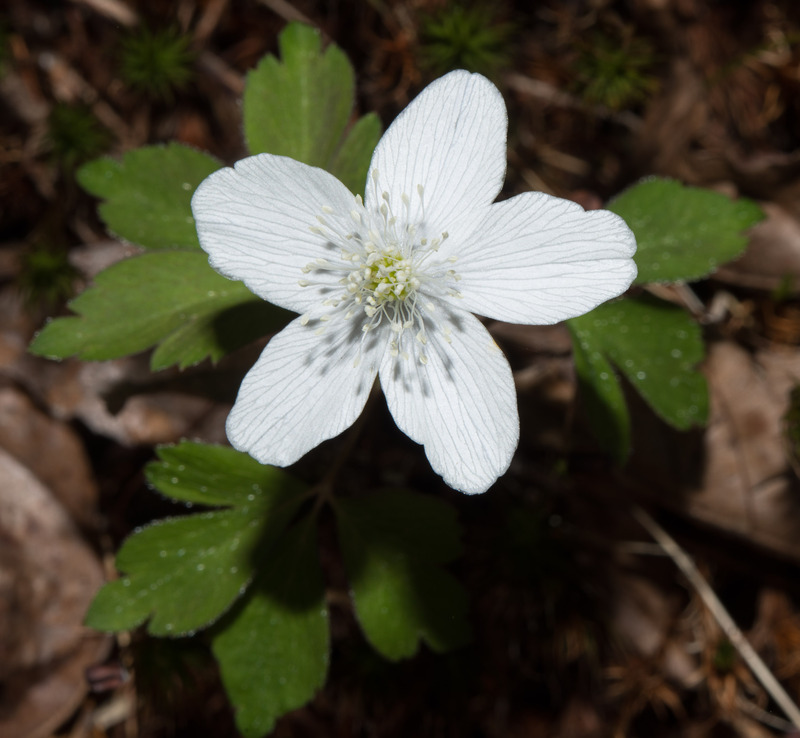 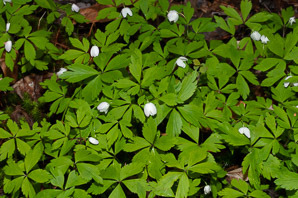 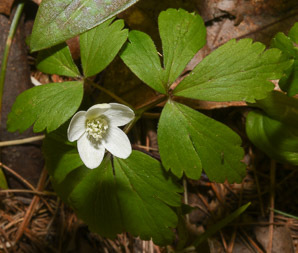 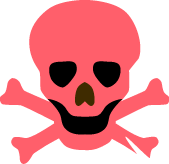 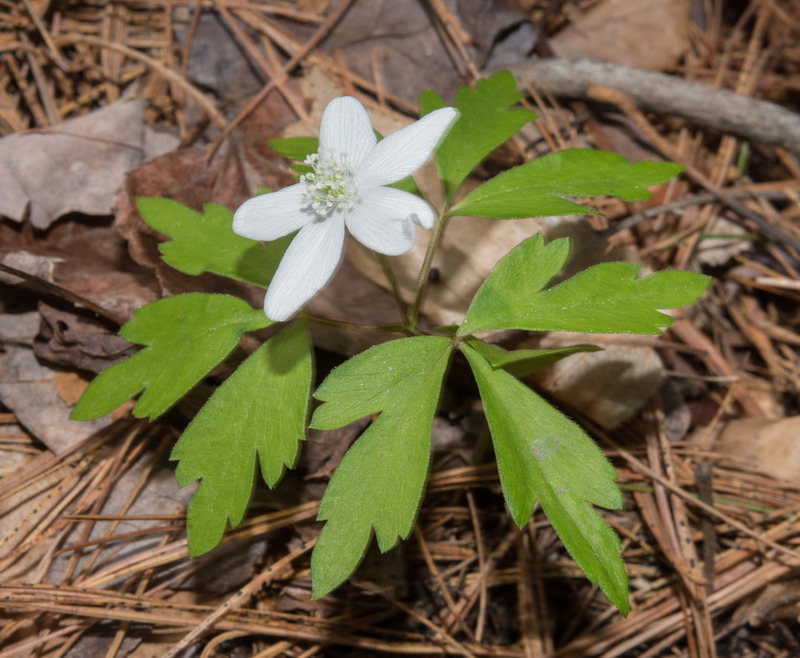 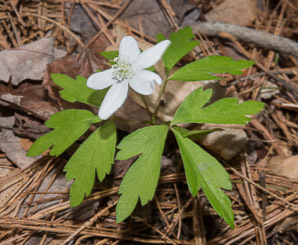 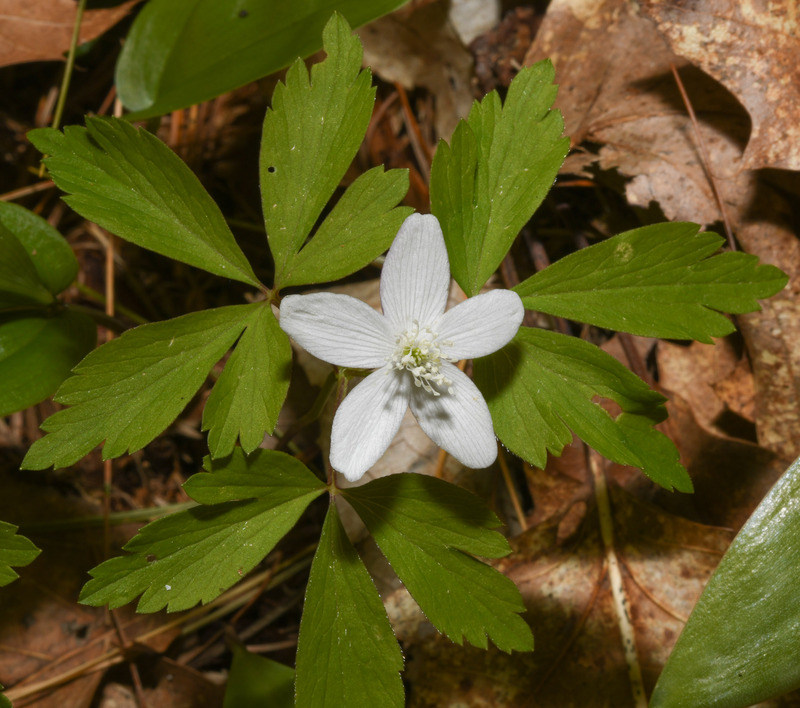 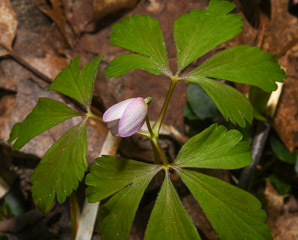 Edibility: I couldn’t find any definite information, but most members of the buttercup family are poisonous , so wood anemone should be assumed poisonous as well. 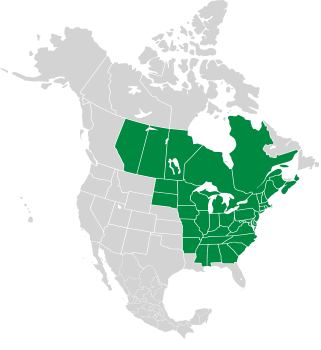 Anemone quinquefolia description by Thomas H. Kent, last updated 2 Jan 2019.